Posted by Wynette: We often see dogs on the streets. They always seem quiet and well behaved. 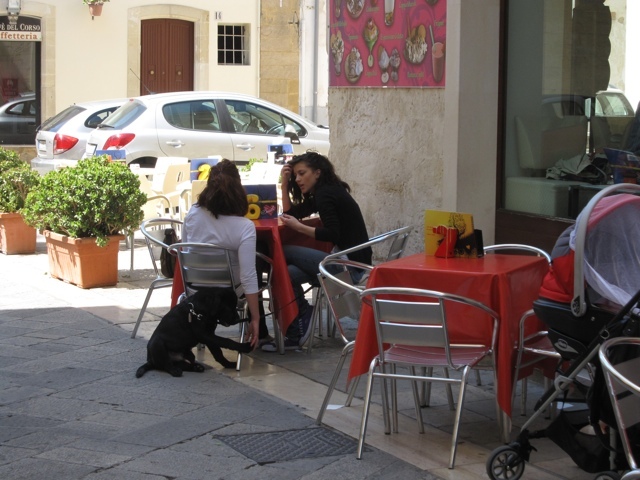 Sidewalk cafes make it easy to take your dog with you when you go for ice cream. We saw these women in front of (yes) a gelateria. Note the stylish clothes (compared to English ladies, earlier post.) And the sweet doggie playing with the woman’s hand while she chatted with her friend. 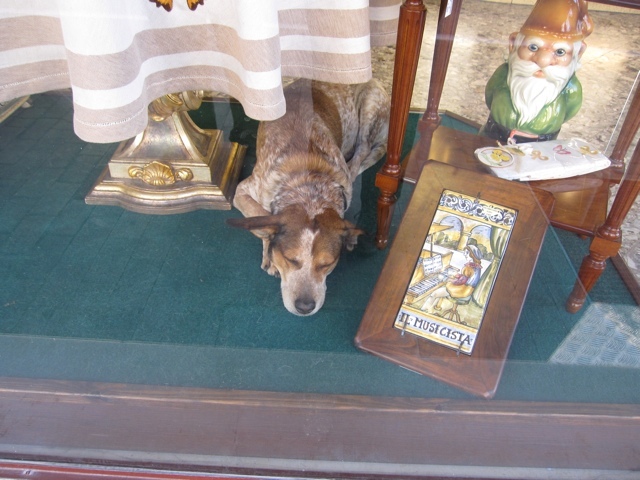 Here’s a dog sleeping in a shop window in Sorrento.